May school holidays signal the start of summer, with warmer weather, drier days and lighter nights, there is no better way to celebrate this new season than with one of our fantastic family cycling holidays during May Half-Term. 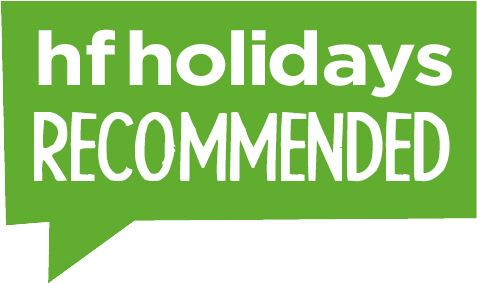 If our trips during May Half-Term don't work out for your family, then take a look at our selection of trips in Summer, or have a look at our holidays in Easter. Use the tabs below to search for your perfect family cycling holiday, Find out more, request trip notes and book online. Travel along the northern boundary of Britannia and the Roman Empire and rediscover the Emperor Hadrian’s Wall on two wheels. Explore the Hadrian's Cycleway on our holiday and check out the Roman sites along the way. Perfect for those looking to entertain the kids with some cycling alongside a slice of history. This is a cycling classic taking in three countries in the heart of Europe - each of which add their own special mark to this idyllic region. It is perfect for enjoying the ride at a leisurely pace in plenty of sunshine. Head to the stunning shores of Andalucia's Costa de la Luz that has something to offer to every member of the family! Take your time and enjoy great scenery on this fantastic family cycling holiday on one of Italy's most beautiful and action packed islands! The amazing Catalonia region is packed full of fun and provides plenty to keep the kids smiling. From picturesque valleys to a glorious coast and the delightful Girona too, this is one not to miss. Your journey will start in Assisi, one of the highlights or the region, and will finish in Spoleto, a visually stunning town situated right on the foothill of the Apennine Mountains.